"Now where did I put those baby wipes? ", "Will you please stop raining", "It's only 1030 but what the heck first beer of the day." Sound familiar? You can't beat a good festival, can you? Music, beer and sleeping in fields full of cowpats! Festivals are two a penny in the UK it seems. You'll find one almost every week from May till September but they have become an important part of our modern culture. They meet every musical taste you care to mention. Allowing everyone the chance to enjoy, endure and take them to their hearts. We all have our favourites and Cropredy just happens to be mine. So here at Sketches we're giving you reasons to consider this festival if you're planning ahead for next year or looking to experience some English culture. Cropredy had a motto this year..
We certainly did that and I hope that this will inspire you too. 1) Diversity - one of the Cropredy strengths is the diversity in lineup. Although predominantly a folk festival for Fairport Convention it covers many genres This years lineup included dub and reggae (Dreadzone), funk and jazz (Level 42), country (Emmylou Harris), blues (Band of Friends), punk folk (Skinny Lister), singer / songwriters (Paul Carrick), traditional folk and folk rock (Tradarrr and Talisk) and rounded off each year with Fairport Convention. It only has one stage so it allows you to embrace these different styles, even if you go for a wander around the field. The organisers also think very carefully about when each act appears. Chilled music for when the sun goes down. Pick-me up music for the afternoon and late evening. It just seems to work. 3) Community spirit - Not only is it kid and family friendly but it also has a real community spirit about it. Whether it's your first time or your twentieth you will feel welcomed and will soon become part of the Cropredy family. The more you go the more faces become familiar. You don't know them, but they are there. It just feels right. 4) The village and its history - Cropredy is steeped in history. You can feel it as you walk around the village. In 1644 during the Civil War the 'Battle of Cropredy Bridge' was fought. It's also on the Oxford - Birmingham canal built back in the 1790. The church St Mary the Virgin (it's centre piece really) dates back to 1050. It's also an incredibly pretty village with ornate cottages and wonderful pubs, so taking time out of the main festival and heading to the village is as central a part to the experience. It also has a fringe festival, if a certain act doesn't interest you. 5) The bar and beer - Ah the bar. They only have one on the site, they don't need anyone it's that big! With the main arena in one field the bar is perfectly situated. Get your beer and you don't miss a thing, the beauty of having just one stage. Talking of beer, there aren't many festivals that can boast of having their own. In this case Fairport Five brewed exclusively by Wadworths. It's great tasting as well, trust me on that. So they are just some of the reasons for choosing this most eclectic of festivals. 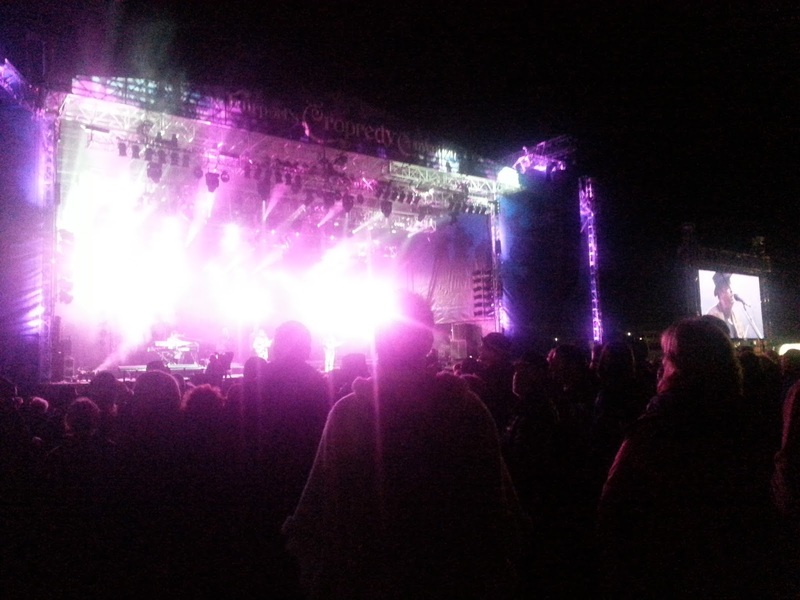 Cropredy, although not as publicly known as others has a lot going for it. It's in an historic setting that other venues would be hard pushed to rival. It's unique blend of folk and other music allows you to open your musical tastes to new and exciting musicians. It's friendly and welcoming and don't forget the beer! I'll be there next year, will you? If so lets have a beer and enjoy the music. 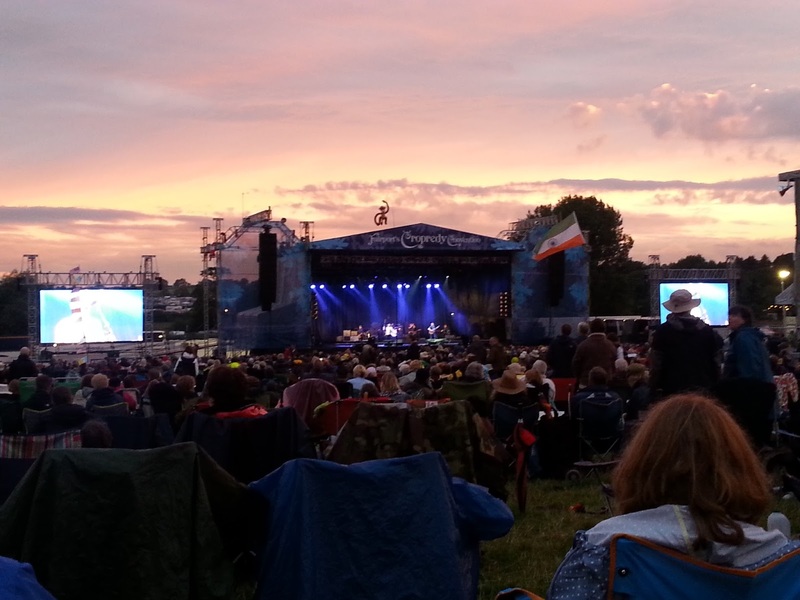 Have you been to Cropredy? What's your favourite festival and why? Would be great to hear your opinions through any of the links on the top of the page.